Used for easy mounting on the eave of a house. Lower Bracket of 16 gauge Hot Dip Galvanized steel, non-adjustable 48 inches. Both the upper and lower brackets are for masts up to 2.25 inches in diameter with clamps, bolts and 2.5 inch lag screws. 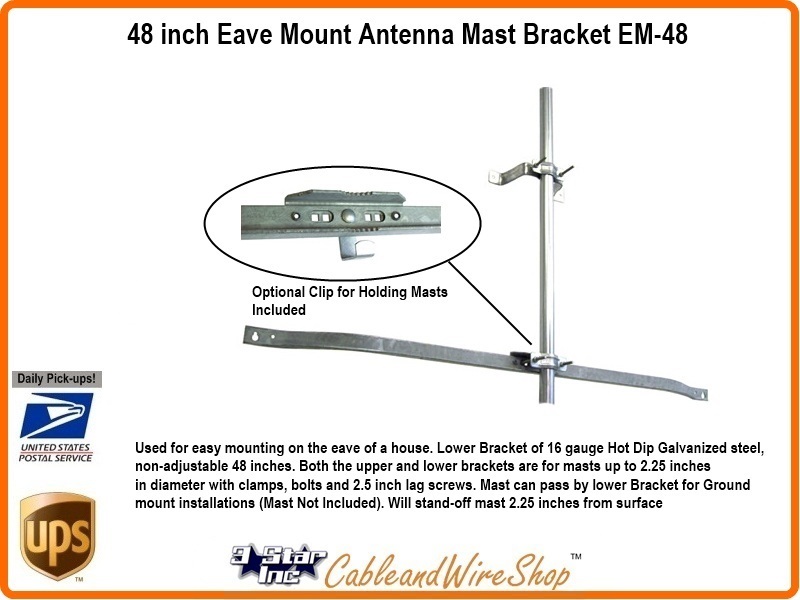 Mast can pass by lower Bracket for Ground mount installations (Mast Not Included). Will Standoff mast 2.25 inches from surface and spans 48 Inches.